If you haven't noticed the pattern here....I've been all about spicy meals lately. I love love love Chipotle Peppers and I love making recipes that use these smoky and spicy peppers! 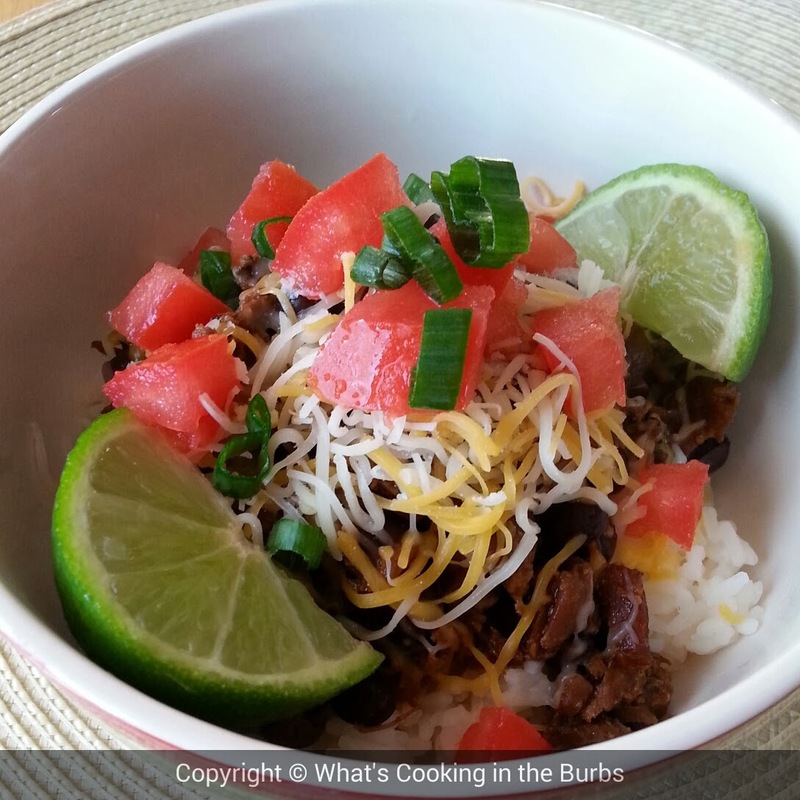 These Smoky Chipotle Crock Pot Burrito Bowls are easy to prepare and so so good. You can make them with chicken or beef but I had a chuck roast in the freezer that I wanted to use and it worked great. Cut roast into chunks and place in the bottom of your crock pot. Add remaining ingredients to the pot except for rice. Cover and cook on low for 7-8 hours. Remove beef and shred with two forks. Spoon meat over hot cooked rice and any other toppings of your choice. Enjoy! Bridget, I think this sounds delicious. How do you think it would work as a freezer meal? Yum! I made black bean bowls the other night with cilantro rice. I could eat these all of the time! This sounds yummy! I'm always looking for a good crock pot recipe.